When running my game I wanted to use Defiler's for enemies, but there weren't really any Defilers in the DSCC, except for a couple that really didn't hold well to my idea of defiling. So I created this theme to catch the flavor of what I think Defilers are like in combat. These are for your run of the mill, if there is such a thing, defiler. Individual NPC defilers would have more specialized powers, but this will do for the gnoll or elf defiler and their lackey's. The barren plains of the Tablelands have one cause, the relentless use of defiling magic. Wizards everywhere are shunned, hated, and often stoned by the general populace for their selfish use of life force in their defiling. For many spell-casters this this is the price they pay for their magic, for they know no other way. But there are a few who relish in the power they leech from Athas. They use every opportunity to bend the life force of the planet to their will. These Darkheart Defilers not only use the life energy to fuel their spells, they use it to perform feats of magic that a Preserver would never attempt. 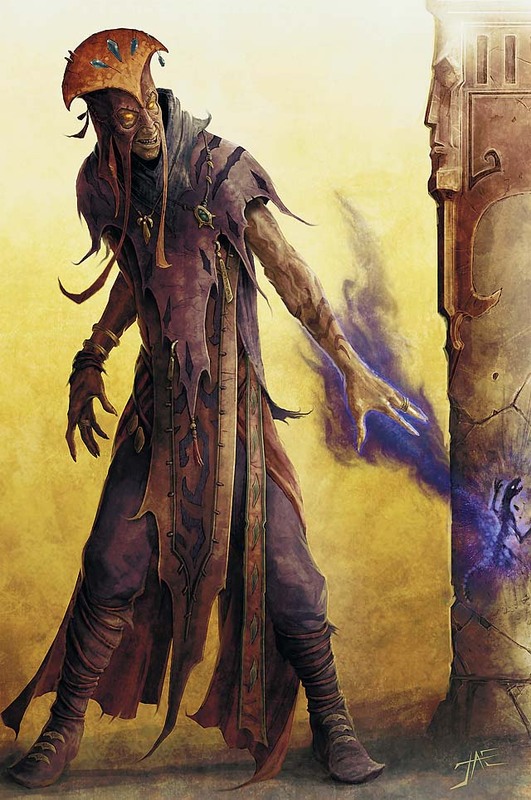 Arcane casters who follow the Path of Defilement either through the study of similar lore or through their own defiling experimentation have learned spells and rituals to aid them and their allies in battle. While they keep the true secrets of defiling to themselves, defilers will often cast rituals on their followers or teach them subtle ways to use defiling or at least weather the defiling used on them by their masters. Those worthy of true knowledge, other arcane casters, are taught the true ways of the Darkhearts. Besides the razing of the land, defiling has other costs. Often powerful defilers will have the taint of defiling upon them, which can manifest as ashen skin, a corrupt smell, bleak attitude, or many other reasons others do not wish to be around them. As a result they will often send their apprentices or servants to perform tasks if a need to interact with others is apparent. Even those who server defilers for long enough and are subject to enough of their defiling will often gain these undesirable traits. The attack powers of the Darkheart Defilers have to do with draining energy for the defiler. Defiling lackeys can take advantage of the life draining defiling powers or resist them better. Creatures have to be tough working for a defiler. Those that can withstand the effects of defiling last longer. Along with plant life defiler's drain the will of their enemies. Use this power often so the defiling lackey's can take advantage with their Sinister Opportunity power. Burst 5; Level +3 vs Will; -2 to Defenses, targets grant Combat Advantage, until the end of the Defiler's next turn. Master defilers can use obsidian to not only drain the life of plants, but from living creatures as well. This power is appropriate for Controllers of higher than 10th level. Ranged 10; Level +5 vs. Fortitude, Each time the target uses an Encounter or Daily Power they take 10 Damage for an Encounter and 20 for a Daily (save ends). This spell links one individual to the defiler's obsidian orb. Use this power early in the combat to take advantage of its effects. Range 10; Level+3 vs Fortitude; Each time the defiler uses a Darkheart Defiler power (once per round) the target looses a Healing Surge, if the target is out of healing surges they take damage equal to their surge value (save ends). Make a free basic attack when adjacent opponent is affected by Drain Courage, Defiler's Aura, or Life Drinker's Taint. These utility powers represent how defiling effects Darkheart Defilers and their surroundings. You can reroll the target roll but you must use the second roll. Each ally within 20 square of you takes necrotic damage equal to half of their level. Controllers with this power slow those who would approach them with their defiling. aura 2; Creatures who enter or start their turn within the aura must stop moving and lose one Move Action. This is effectively an action point for the defiler. Use with controllers or leaders. Area Burst 20; Using Defiling all beings are "temporarily stunned" allowing the Defiler to perform a second Standard Action, the Arcane Defiling power can be used with the second Standard Action. By constantly draining the life of those around him the defiler takes advantage of their temporary shock. Frivolous Defiling: Each combat round the defiler acts before the combatant that was before him the previous round. By sucking the life from the are the Darkheart prevents others from regaining lost life. All attempts at healing are leeched away by the defiler. Use this for Leaders or Controllers. Area Burst 20; Healing powers cannot be used until the end of the Defiler's next turn. aura 2; Level +5 Vs Will; target is immobilized until it's next turn to prevent entering the aura. In order to deny his enemies magic he decimates the area of plant life. This power is for any Leader, Controller, or Artillery. Area Burst 20; The defiler leeches energy from the surrounding area in a wide swath, making using Arcane powers cost an additional Move action to use for the rest of the encounter. By draining the land Darkheart Defilers gain power. This power is for Artillery, Leaders, or Controllers. The defiler automatically recharges one spent Encounter Power and uses it.